Note: This review does not mention plot points beyond the blurb released by the publisher. It does offer general thoughts and feelings on the characters, story and themes. There are so many reasons to dislike Harry Potter and the Cursed Child, but I’d be lying if I said I didn’t absolutely enjoy every minute of reading it. A few things should be made clear before moving on. The first is that (for those who still aren’t aware) Cursed Child, while a story from J.K. Rowling, isn’t written by Rowling. It was written by playwright Jack Thorne. The second is that Cursed Child departs from the original books in that it’s not a novel, it’s a play. And lastly, the play’s script was bound and published into a book — the book that has everyone buzzing. This is a review of the script-book. I haven’t seen the play, and prior to reading the script I had only caught some of the photos and seen a few of the promotional videos. Finishing the script, my thoughts and feelings toward Cursed Child are somewhat mixed and yet mostly positive. The “Eighth Story” is a direct sequel to the Harry Potter series. With that comes a sense of excitement and anticipation. It’s a blast to see where Harry, Ron, Hermione, Ginny and Draco have landed after nineteen years. Returning to the Wizarding World is just as fantastic as it sounds. However, Cursed Child‘s real strength is in its new characters. Each is a far enough departure from the original cast to stand on its own — none of them feel like a cardboard copy of the originals. They are unique and well-rounded people, which is refreshing and exciting. The characters in the Harry Potter books were always the best part of the series, and that still holds true for Cursed Child. Albus’s struggle to accept “the weight of a family legacy he never wanted” feels genuine and is an interesting way to continue the Harry Potter story. After all, just what would it be like to be the son of the Boy Who Lived? The play does an excellent job at exploring this idea and it might be one of the more interesting aspects of the story. But with all of that said, Cursed Child is also frustrating. The plot and premise of the story are, above anything, crazy and strange. Some people have compared it to fan-fiction — a description it absolutely merits. The entire conflict is outlandish and in some places the plot seems lazily constructed. Rowling’s incredible attention to detail that was present in the original series is noticeably lacking here. Half of the reason the twists in the original Harry Potter books are so well received is because they’re so brilliantly planned. When you get to the reveal, you see the thread of clues Rowling planted so well. She did such a fantastic job that theorizing with fans became part of that “Harry Potter experience.” But the twists in Cursed Child aren’t quite like that. The twists in Cursed Child are shocking, not so much because they’re brilliant, but because they’re a bit wild. There were other odd bits where some of the characters from the original series felt out of character in the play. Without giving away any details, those moments were jarring and noticeable. And yet I was somehow able to look past all that. “This is ridiculous” crossed my mind more than I can count while reading. And yet I always had a smile on my face, a smile of pure enjoyment. Because there’s some great stuff in Cursed Child that makes it bearable. I laughed a lot (some of the lines are genius and charming). I came to love the new characters (I’m more than ready to welcome them into my life!) and I was pleasantly surprised by their emotional journeys throughout the course of this story. Heck, I even teared up in some places. If anything, the soul of the books is still there and in full force — the themes of friendship, family and love. I’ve always said the Harry Potter series is perfect in my mind. Does Cursed Child fit into that construct? If I’m being honest, no. But I liked it enough to be OK with it. 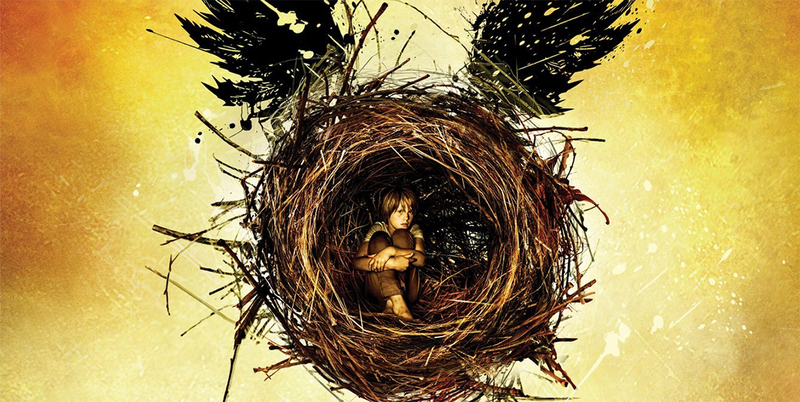 Is Cursed Child worth reading? For Harry Potter fans who have a genuine interest in the characters, I’d say yes. If anything, it’s worth reading before someone spoils it for you — chances are you won’t be happy if you hear about the twists outside the context of the story. In the end, Harry Potter and the Cursed Child falls short standing next to Rowling’s original series — and yet it’s fun, sad, heartwarming and in many ways wonderful. You could say it’s a lot like a child failing to meet the expectations set by his parents, a child who will always stand in the shadow of what came before — but a child you come to love anyway. + Plot: Easily the largest problem with the play. + Writing: Pretty well done, with some charming and funny lines. As for how they sound on stage, that’s hard to say without having actually seen the play. + Characters: The highlight of Cursed Child, the characters old and (especially) new shine through! There are some moments where old characters seem out of character. + Theme: The story sticks to Rowling’s core message of friendship, family and love.